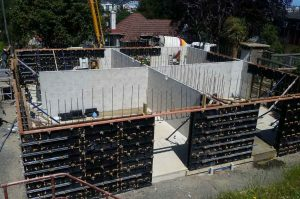 The customers in New Zealand build their new houses by BOFU plastic modular formwork recently almost finished. The houses mainly composed of 4 rooms, seperated by 4 walls, thus we call it cross walls. 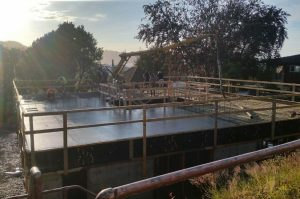 By traditional formwork, the workers will need so much wood to make the skeleton firstly, especially on the corners, and then paste the plywood panels to pour concrete. Because of the more corners, there is serious waste of wood at site. 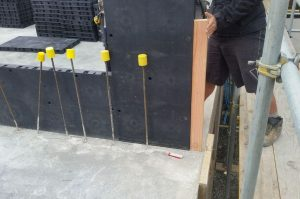 However, using BOFU plastic modular formwork, it is easy to make right angle corners with nearly no wood to be compensation. From the begining, the workers need to set up plastic formwork panels by the desgin drawing which was provide freely by BOFU, locked the panels easily by fast-lock handles. 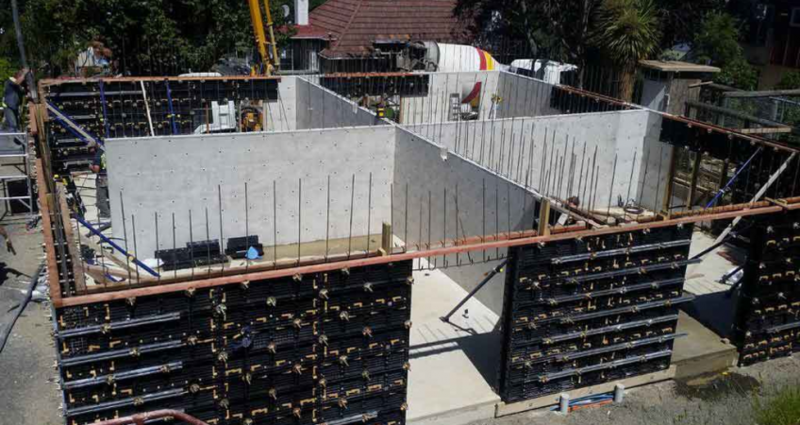 Supporting formwork by special shoring prop for walls. 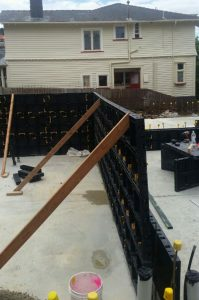 In order to save the cost, the workers use only wood to support the formwork panels, it also works well. From inner view of formworks, the panels locked firmly and looks smooth. The concrete will not stick to plastic, so there is no oil needed. 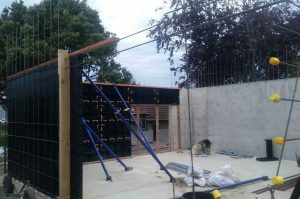 The finished wall by BOFU plastic formworks keep smooth, just clean the panels by water, it can be used for the next step. So go to the slab, using the same panels for walls, the slab can be done to 40cm thickness. 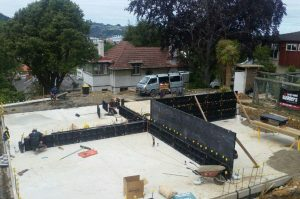 The amazing proformance of BOFU plastic formwork won the excellent reputation on our customers. There are more projects comming, welcome to keep eyes on our news report, we will update more in the near future.